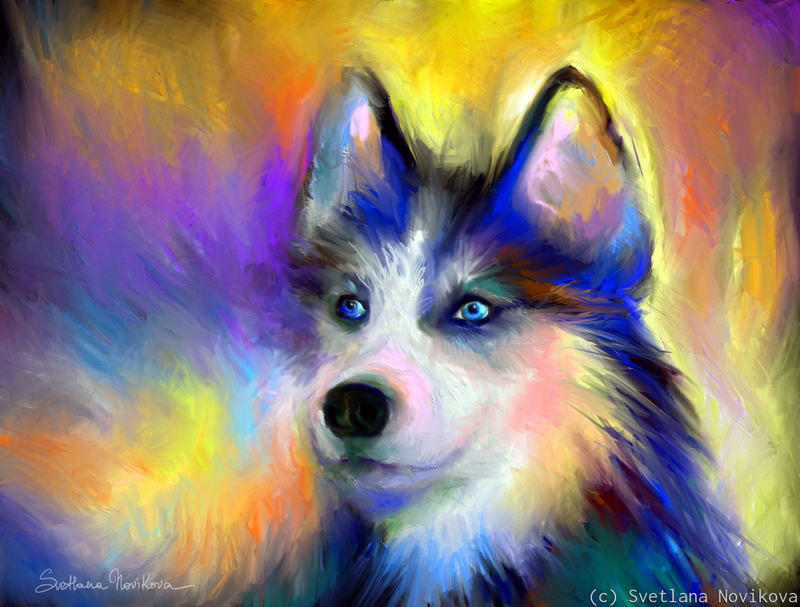 Vibrant Siberian Husky painting by Svetlana Novikova, all rights reserved. I am available for custom pet portraits, licensing and wholesale. Please contact me for more information. 5" x 6.5"8" x 10.5"11" x 14.5"14" x 18.5"17" x 22.5"17.5" x 23"